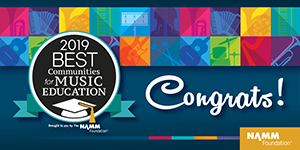 Here you’ll find all the latest news from Midland Elementary School—everything from important notifications to fun articles and upcoming event details. We will update you with announcements and news stories here, so bookmark this page and check back often! Midland School students, families, and staff are busy with our annual “Coins for Carmelo” drive. School nurse, Catherine Alvarez, spearheads this initiative each year in honor of our beloved student Carmelo Marrabello III. All monies raised go Carmelo’s Chapter, a non-profit named for Carmelo. Carmelo’s Chapter provides scholarships for former Midland Students, donates to organizations fighting childhood cancers, and donates to Midland School so we can purchase books and other literacy materials. Carmelo was an avid reader and talented writer! 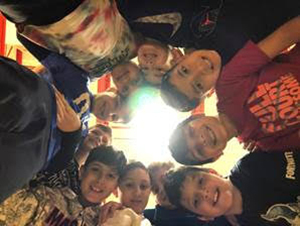 Fourth-grade students at Midland showed off their caring spirit and newfound comradery after participating in the month-long Kid’s Heart Challenge. Mrs. Quimby challenged students to participate in a program promoting healthy activity for the heart, while raising money for the American Heart Association. 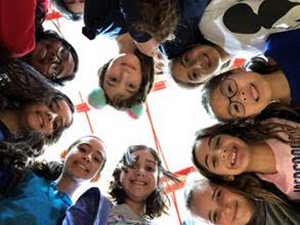 Students participated in jump rope activities among other heart-healthy exercises in the gym as they do year round, but in February, they focused on how this benefits their heart. Students received bookmarks in the library that showcased young children whose heart conditions got treated with money raised in past challenges. Seeing how their efforts helped other children was also a great benefit to the kind hearts of the Midland students. 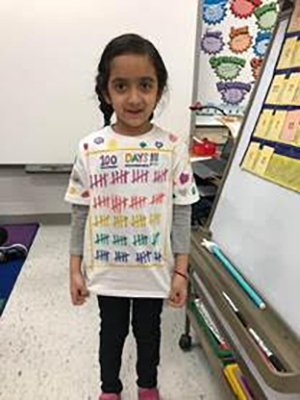 Midland School kindergarten students showed off their homemade 100th day shirts. Students were happy to show off their creations as they traveled throughout their day. Having completed 100 days at Midland was an exciting accomplishment for teachers and students. Now students are ready to carry all this great learning into their exciting spring endeavors at Midland. 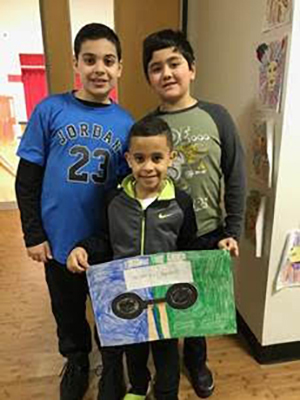 Midland School’s first and third grade book buddies marked the 100th day of school by working together to create artistic illustrations using the digits from the number 100. The students shown here are showing off their 100th day barbell. The barbell represents how strong the 100 days of school have made their thinking. Check out our latest newsletter from the home of the Mustangs!